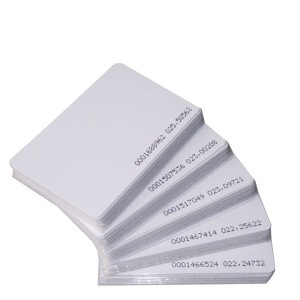 Magnetic stripe: Loco or Hico magnetic stripe Key fob: can be snapped off to smaller pieces Delivery By Express, By sea or air Card Type barcode card, magnetic card, blank card, blank chip card, thick id card, transparent card etc. 3. On-time Delivery Guarantee : delay over 1 week, provide 3% free cards; delay over 2 weeks, provide 6% free cards. now! 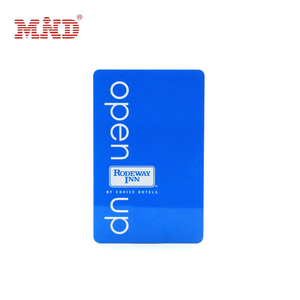 Chengdu Mind is specialized in the designing, researching, manufacturing and selling of RFID products and PVC cards. Big capacity&mdash;cost-effective and flexible to adjust production for volume and urgent orders. 3. Can I order if quantity less than MOQ9 Yes and it would be taken as sample order to production. 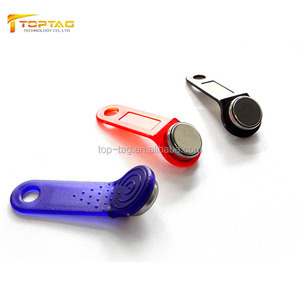 If samples we have in stock would be provided for testing, but shipment should at your side. 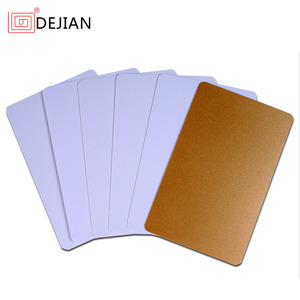 3)Q: Can I order samples first to test the qualty9 A: Yes, 3-5 pcs samples are allowed for your test, and they are free. 4)Q: How to pay9 A: We accept L/C, T/T, Escrow, Visa, Western union, Moneygram, If you use other payment terms, please feel free to contact us! Sencan always attach great importance to quality controlling from the very beginning to the very end. We really welcome you to visit our There are also some customers like to visit our company and do business with us for a long time. We will like to share with you their info if you send the inquiry to me. Send your inquiry details in the below for free samples, click "send" now! 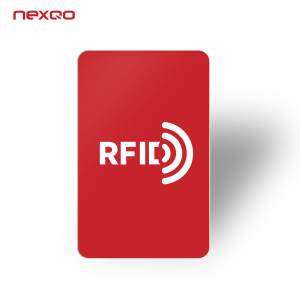 We are a passionate and creative group with 8 years experience in RFID Tags/ Smart Card field. Great reputation of our various cooperative partners all around the world. Choose us , choose quality and service: 1) Profession and experience making us stably doing good in design service and qualify production for you. 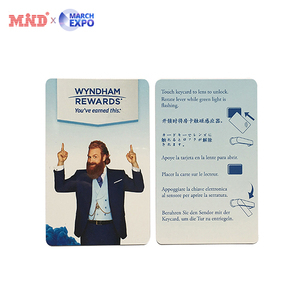 Shenzhen Ming Jia Development Intelligent Technology Co., Ltd.
Shenzhen Huayao Technology Co., Ltd.
Alibaba.com offers 70,377 access control card products. About 49% of these are access control card, 11% are access control system, and 7% are plastic cards. 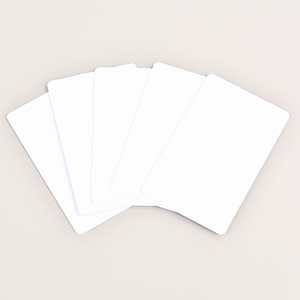 A wide variety of access control card options are available to you, such as free samples, paid samples. 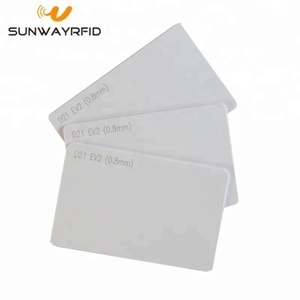 There are 70,117 access control card suppliers, mainly located in Asia. 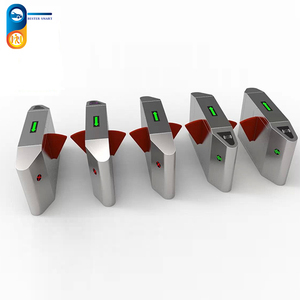 The top supplying countries are China (Mainland), Hong Kong, and Taiwan, which supply 99%, 1%, and 1% of access control card respectively. 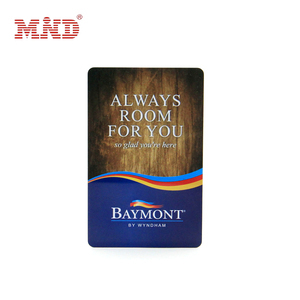 Access control card products are most popular in North America, Domestic Market, and Western Europe. You can ensure product safety by selecting from certified suppliers, including 24,157 with ISO9001, 9,398 with ISO14001, and 5,761 with Other certification.